Scottscope: Scottscope Talk Radio 5/31/2014: The Days of Future Past! We’ll also be celebrating the 35th anniversary of Ridley Scott’s Sci-Fi/horror classic, Alien! Is it as much of a watershed film as Star Wars? In what ways did it change the landscape of modern science fiction films? Is it still one of the scariest films ever made? Is the Xenomorph the most uniquely conceived and designed movie monster of all-time? Is Alien truly the best film of its respective franchise? Is Warrant Officer Ellen Ripley the greatest heroine in movie history? Should the franchise be allowed to continue at all? We’ll also be celebrating the 30th anniversary of Indiana Jones & the Temple of Doom along with the 25th anniversary of Indiana Jones & the Last Crusade! Is it time to reconsider Temple of Doom’s place in the Indiana Jones quadrilogy? Could it actually be the most underappreciated film of the franchise? Can it now be seen as a precursor to the action/adventure films of the 1990’s and 2000’s? Did the Last Crusade truly get the franchise back on track? Might it actually be the most neutered and docile of all the Indiana Jones films? Did Lucas and Spielberg go overboard in trying to make amends for the darkness and cruelty of Temple of Doom? The strength of the entire X-Men series is the actors, and James McAvoy's performance here as a pseudo drug-addicted, self-pitying young Charles Xavier is worthy of its own indie film. I loved it everything about the movie was awesome. There was a lot of action. 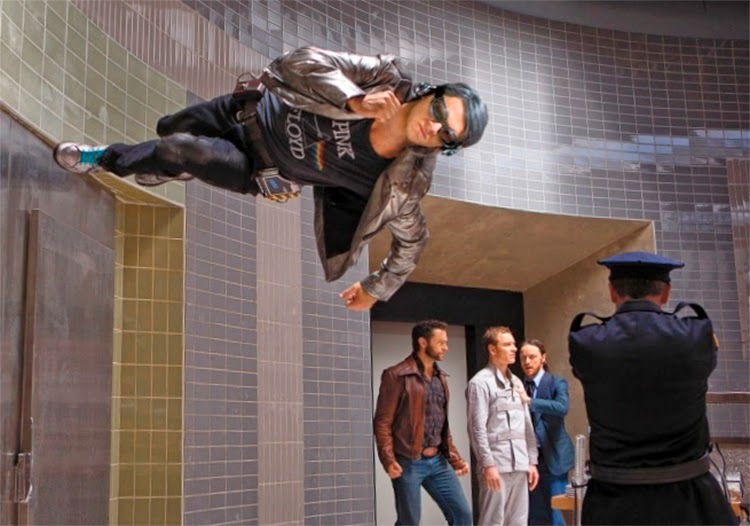 I loved quicksilver in the movie. When avengers comes out next year he will have to top that, because this quicksilver was good. Wolverine did not disappoint he showed all his Wolverine moves. Its funny the older he gets and the more xmen movies he does, his muscles keep getting bigger and bigger. Being an xmen fan growing up it stayed partly to the story. And knowing which mutants are related to who, i'm glad they hinted around that magneto could be quicksilver father. But this movie was great would love to see the extended cut when it comes out. It's the best X-Men movie I agree with this. I would like the franchise to continue to exist and not give up the position. Each film is a uniquely illustrated story, which usually has a fascinating plot.